We will meet in the parking lot by the tunnel entrance. We will have a table set up, and can really use your help. Free parking. We will supply gloves, Trash Bags, Pencils and recording sheets. You provide the muscle. Bring a friend, or two or ten! 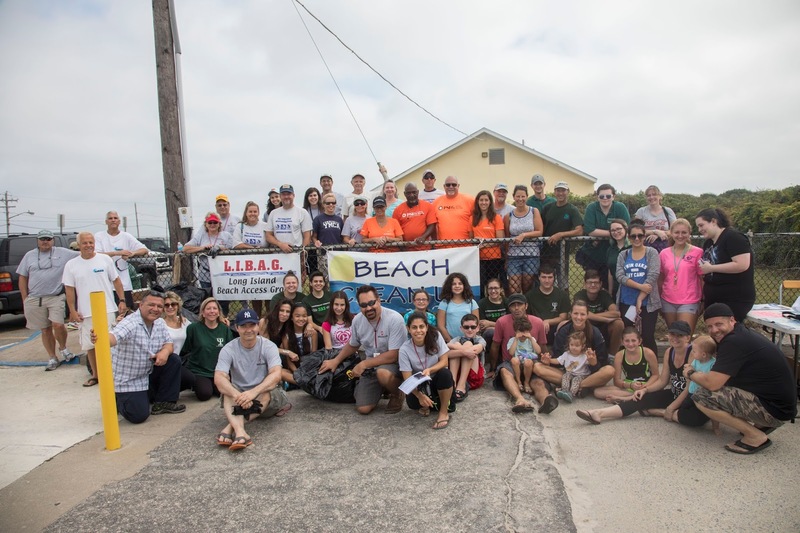 Every year tens of thousands of volunteers remove and collect data on tons of debris from hundreds of miles of shorelines across New York State as part of our annual NY State Beach Cleanup. While the activities on the day of the cleanup are important and receive much positive publicity, the compilation, analysis and dissemination of the data collected have an even greater impact. This cleanup is unique in that volunteers fill out data cards about what they remove. This data is summarized for individual sites and all data cards are sent to The Ocean Conservancy for analysis. The resultant studies produce strategies to combat marine pollution and help inform policy makers, the media and the public about solutions to the problem. So please join us September 29th, 2018 at Gilgo Beach at 9:00 AM, for our largest Beach Cleanup of the season. We at LIBAG want to thank you in advance for all your help. If you are unable to help us at Gilgo, we encourage you to participate at one of the many Statewide cleanup’s scheduled for that day.